Welcome to the ninth instalment of the “Garmsman Dozen” question and answer session. The response so far has been tremendous. Did you miss earlier ones? There are links at the end of the page. 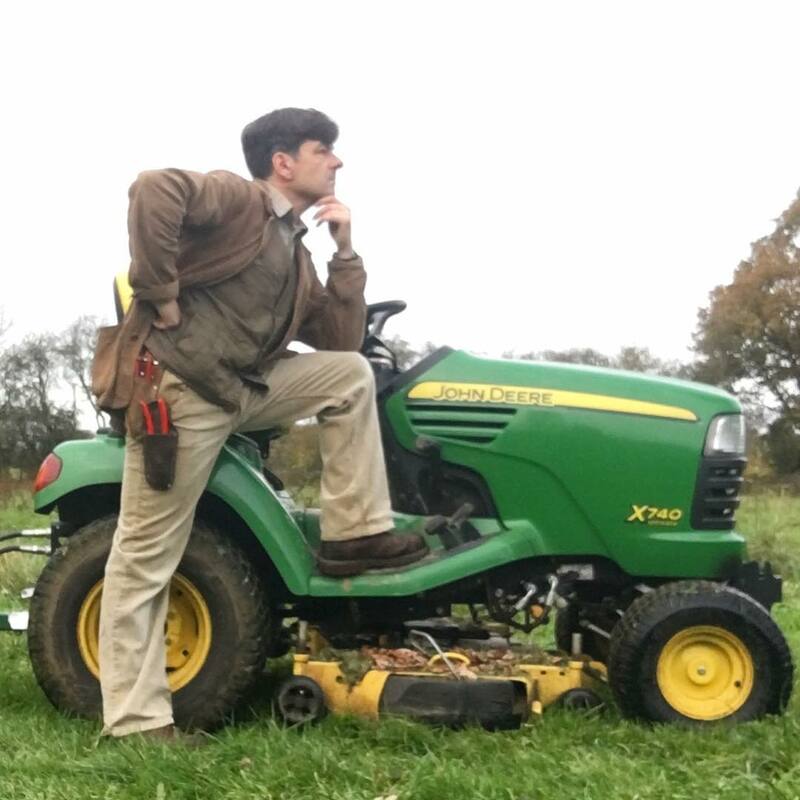 This week we welcome to the Garmsman Dozen Michael from England! 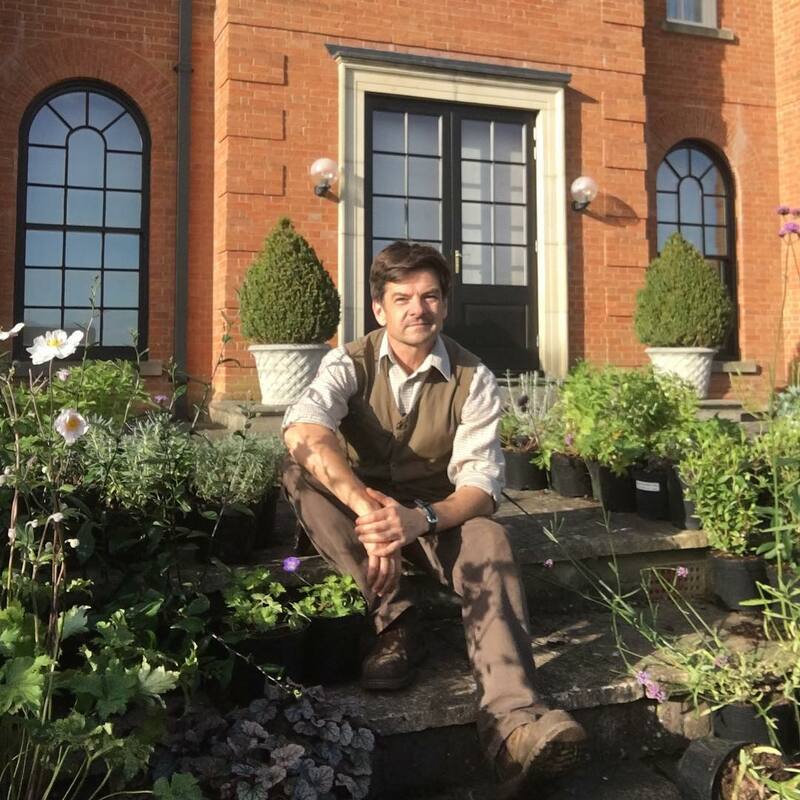 My name is Michael, aka @tintinfellow on Instagram, I am a 46-year-old gardener living in Hampshire, England, but was born in Denmark to a British mother and Danish father. I have an interest in all manner of things which please me aesthetically or inspire me, from Tintin to Tintoretto and Morrissey to Mozart. Inherited from my father, I also have a passion for history. 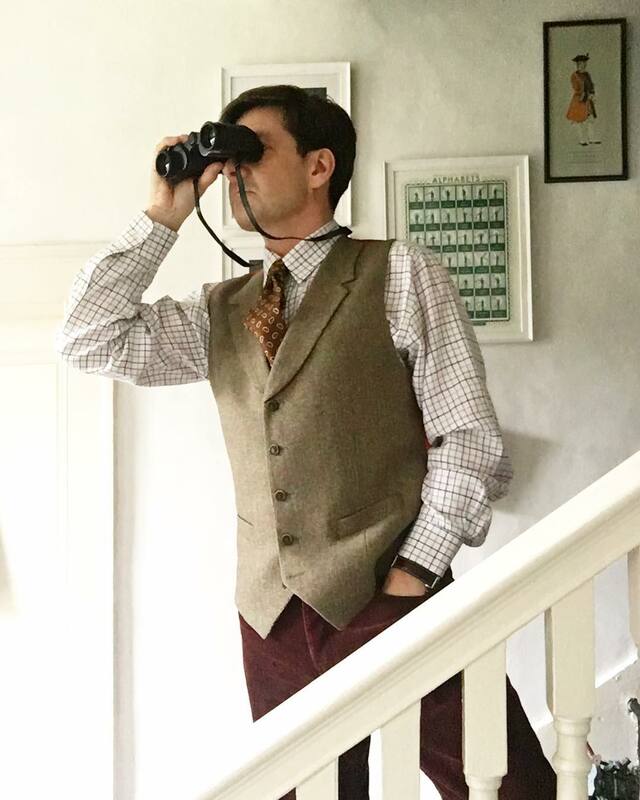 I have had an interest in clothes since my teens, and my Instagram account focuses mainly on that, but I also post old family photos, pictures from gardens, or anything else which interests me. As a child, I had no interest in clothes, and just wore what my mother bought for me, but luckily she never chose anything too embarrassing. I started taking an interest in clothes in my mid-teens, and remember buying a pair of very shiny black patent shoes which I wore with jeans in a school photo. From then onwards I was inspired by a mix of classic style, to what various indie bands were wearing. One day I’d be wearing a tweed jacket and tie, the next a Stone Roses t-shirt, bead necklaces and baggy jeans. These were the pre-internet days, in suburban Denmark, and local fashion was very bland and middle of the road. So I took inspiration from all over, from films, record covers, imported magazines such as Smash Hits from the UK (later The Face and Select) and Bravo from Germany. I became aware of something called “Mod”, so gleaned what I could from books and The Who records. Good question! 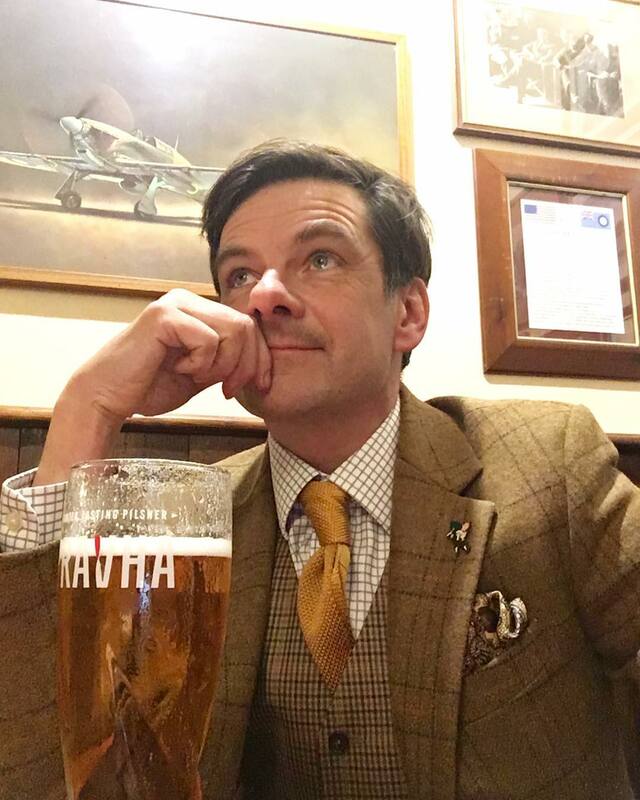 I suppose I would describe it as my own style, let’s call it “Tintin Tweed”, as I often wear classic tweed jackets and waistcoats, but often with a Tintin pin on the lapel. And my influences? My Great Uncle Henry and my father were both very well dressed men, and they have been a huge influence on me. Not that they ever told me what to wear, but they lead by example and I suppose I absorbed a lot by osmosis. 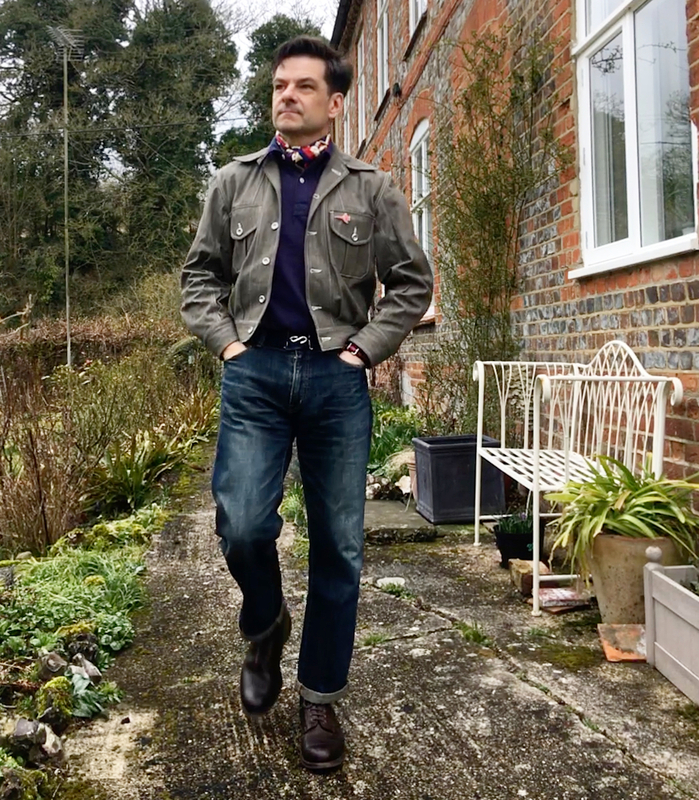 As for other influences, I have always been a big fan of classic menswear, from the 1920s through to the 1960s, but also British subcultures, such as the Mods and Skinheads. I am a sartorial magpie and take inspiration from all sorts of sources. By nature, I don’t follow trends, and I very rarely go “shopping”, i.e. going out with the intention of coming back with a certain item. I might randomly find a good tie in a charity shop, or find something by chance in TK Maxx. I spot a lot of things online, on Instagram in particular. An example of this is my jacket from Work and War. I also like buying from people who I’ve met in real life, as I did with Joe from Work and War, his enthusiasm for creating his garments is infectious. But conversely, I will also quite happily buy something from the high street if it fits my needs and budget. My favourite chinos were £14 from Tesco supermarket! As much as possible I try to buy things which are on sale. When putting together an outfit combination, do you spend a lot of time considering it? It depends what I am wearing. I often decide to wear a certain item, be it a tie or jacket, then build the outfit around that. Sometimes what looked good in my head works in reality, other times I will try different things out. 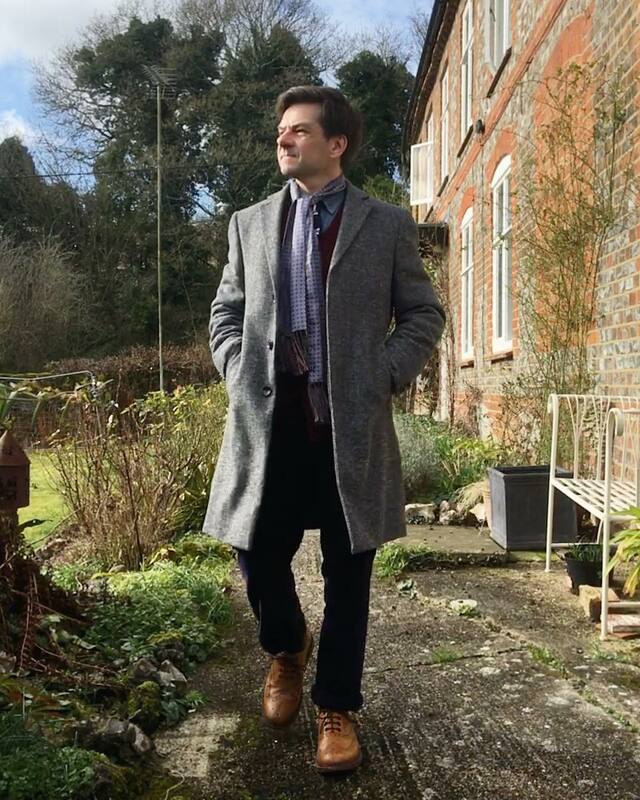 I like mixing textures and patterns, so sometimes it takes a bit of trial and error, laying a couple of different shirts and ties out next to a tweed jacket, for instance. The more patterns that are involved, the more complicated it gets. I might be wearing five different patterns: jacket, waistcoat, shirt, tie, and pocket square. But that’s part of the fun and the challenge! 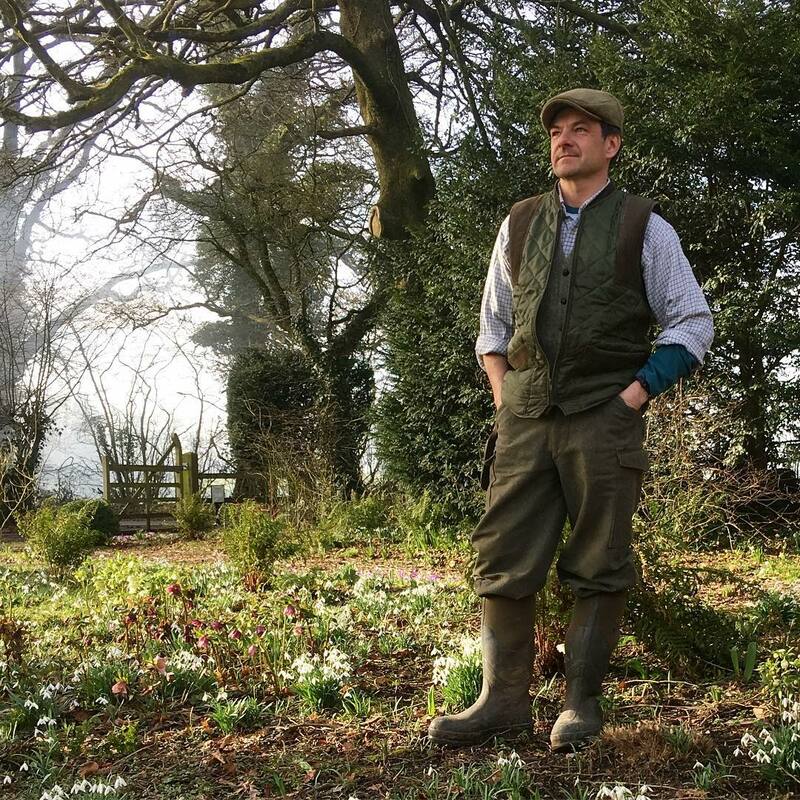 My more casual look often involves a workwear jacket from Realm and Empire, a waistcoat and jeans, or a Breton style top, and that takes much less thought. Like many I am fairly budget conscious and tend to try to buy things which are on sale. I am probably buying better quality items these days than I used to. I quite often buy on impulse, which can be dangerous! Wear the same outfit for two weeks?!? What a horrifying idea! But if I HAD to, I would probably go for jeans with turn-ups, my Joseph Cheaney Jarrow boots (one of those expensive impulse buys, but well worth it), striped Breton-style top, and a chore jacket from Realm and Empire (I have the same model in three colours). What are your best tips for buying? Keeps your eyes and your mind open! 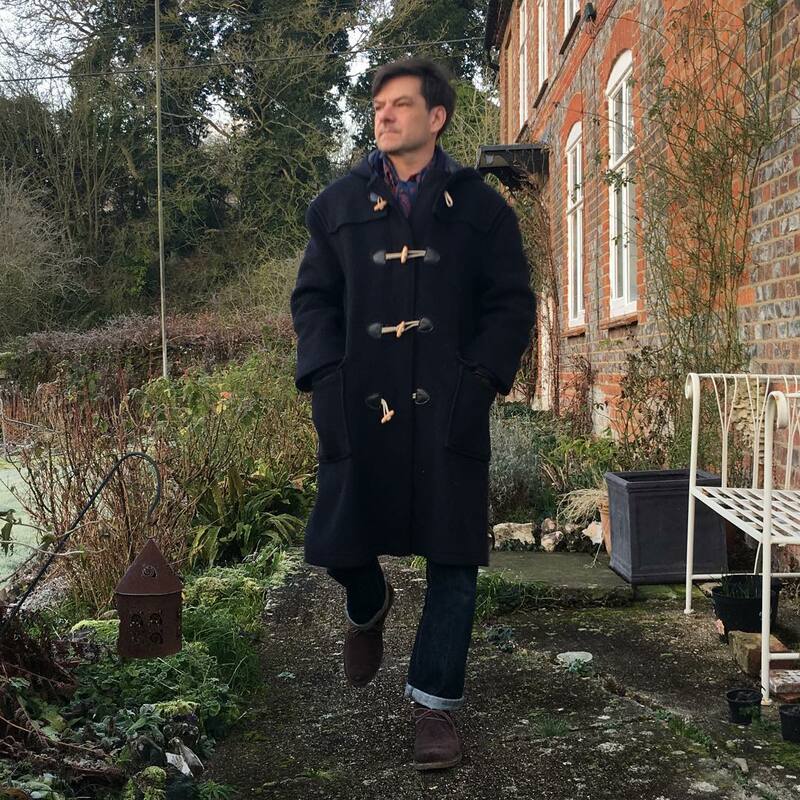 As mentioned before, I get my clothes from all over, from charity shops to supermarkets to TK Maxx to Uniqlo to Gieves and Hawkes to independents such as Peckham Rye or Mark Powell. Be prepared to be inspired by anything, anywhere. And buy and wear and buy YOU like, don’t follow fashion, wear the things which make you feel confident and happy. Like many men, I would love to have a bespoke suit made one day, that is my ultimate dream. Although I’d probably be too nervous to wear it in case I damaged it! 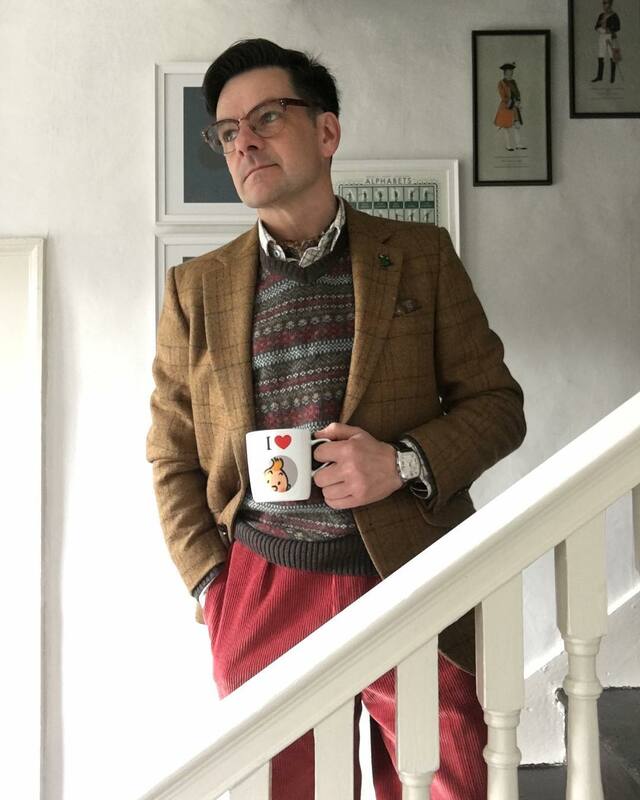 A three-piece suit form a tailor on Savile Row would be rather splendid, or if I wanted something with more individuality, I might go to Mark Powell in Soho. Do you have any style icons, historic or current? Apart from my great uncle and my father, I’ve always been a big fan of the classic movie stars, like Cary Grant and David Niven, they always looked effortlessly well dressed. I also love the way The Who dressed in the 1960s, Paul Weller, especially in his Jam and Style Council Days in the 70s and 80s, and Blur in the mid-90s. Who are your favourite Instagram profiles? They are too many to mention them all, but two which stand out (apart from yours obviously, Nick), who I have followed since the early days of my Instagram account in 2013, are @erikmannby from Sweden and @1lrg from England. Erik and Mark have very different styles, but are always impeccably dressed and display a real sense of individuality. And most importantly, they are both really friendly and kind chaps, true gentlemen. I would urge anyone who doesn’t already do so to follow them. Erik’s style is classic, with a creative twist. He is now the editor of a Swedish style magazine called Plaza Uomo and is co-owner of the Stockholm-based tailors Gotrich. Mark’s style is very different, he is a big fan of RRL and the American workwear look but always puts his own unique stamp on it. Through my interest in clothes I have met lots of interesting people, especially through Instagram there are many who share my passion for clothes and style, and it is a great way of connecting with like-minded people. These contacts have led to going to concerts, art exhibitions and even axe throwing! No, I’m afraid not. I do sew on the odd button, but luckily my mother is pretty handy with a needle and thread, so she has taken up sleeves and trousers for me in the past. If it’s more complex, I will take it to it a local seamstress. I invariably need jacket sleeves shortened. Thank you for your Garmsman Dozen Michael! Great Michael! Love the reference to Cary Grant and David Niven! Hi 🙂 beautiful website !